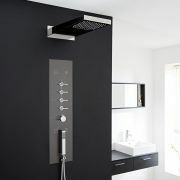 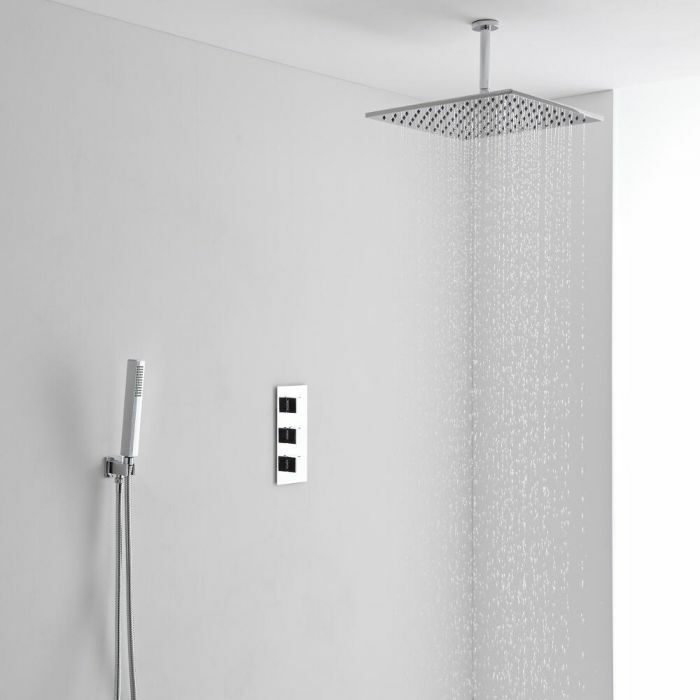 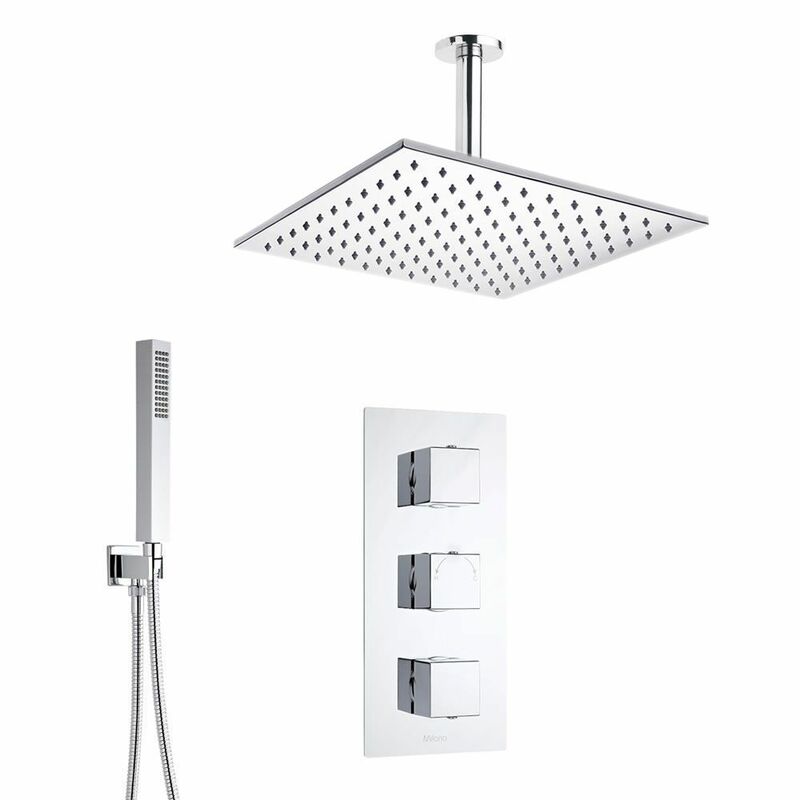 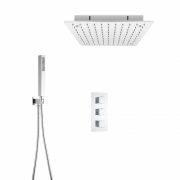 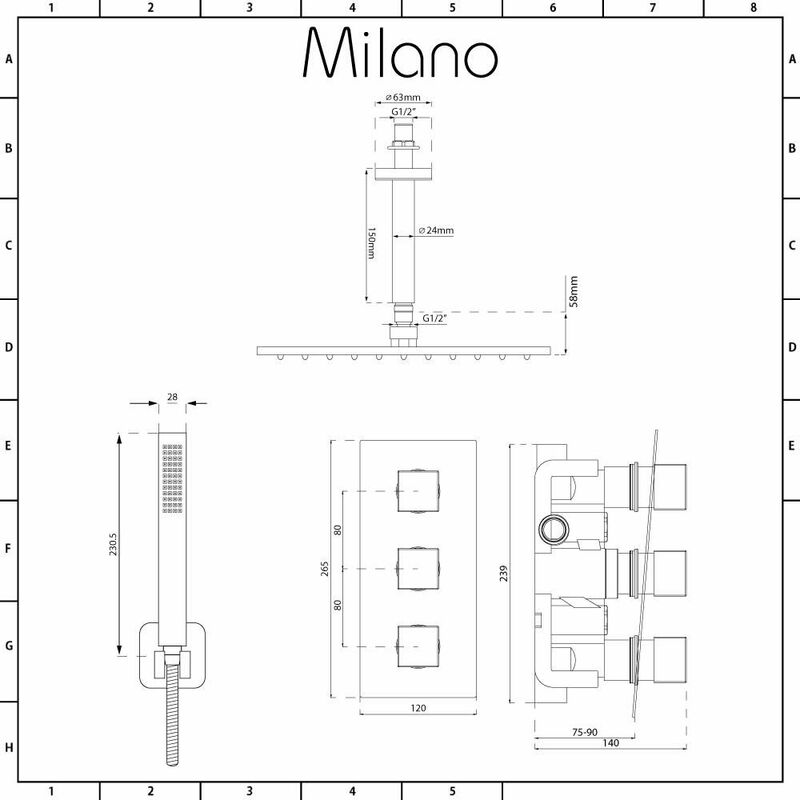 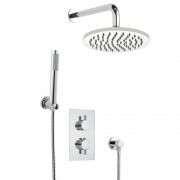 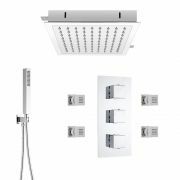 Add a touch of designer style to your bathroom or en-suite with the Milano Arvo thermostatic shower valve, 400mm square fixed shower head with ceiling arm and shower handset kit. 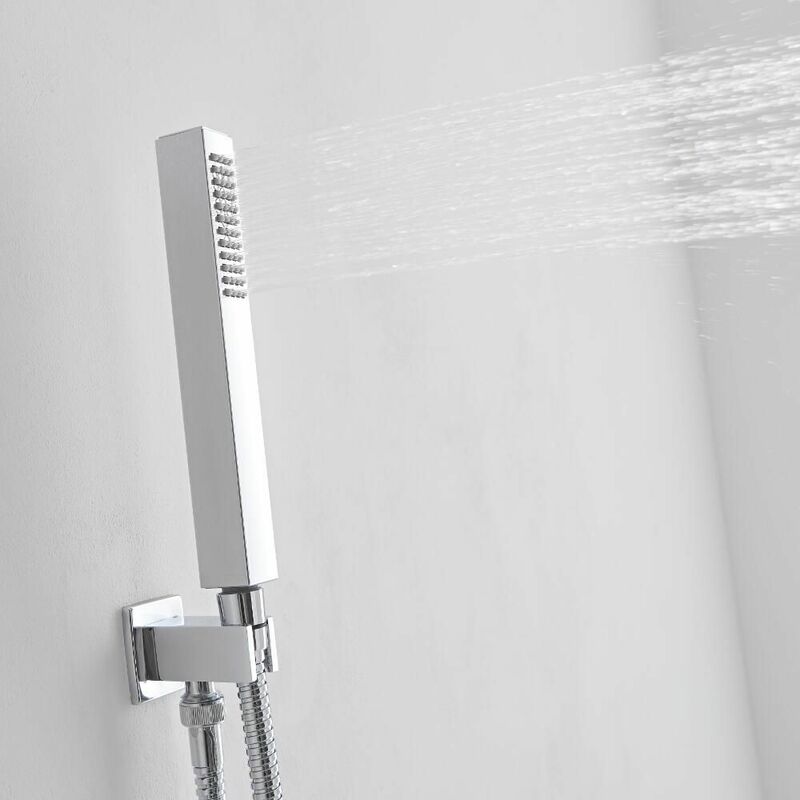 Made from solid brass, the thermostatic shower valve incorporates anti-scald technology to ensure a safer showering experience. 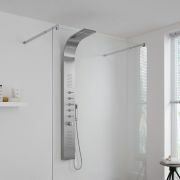 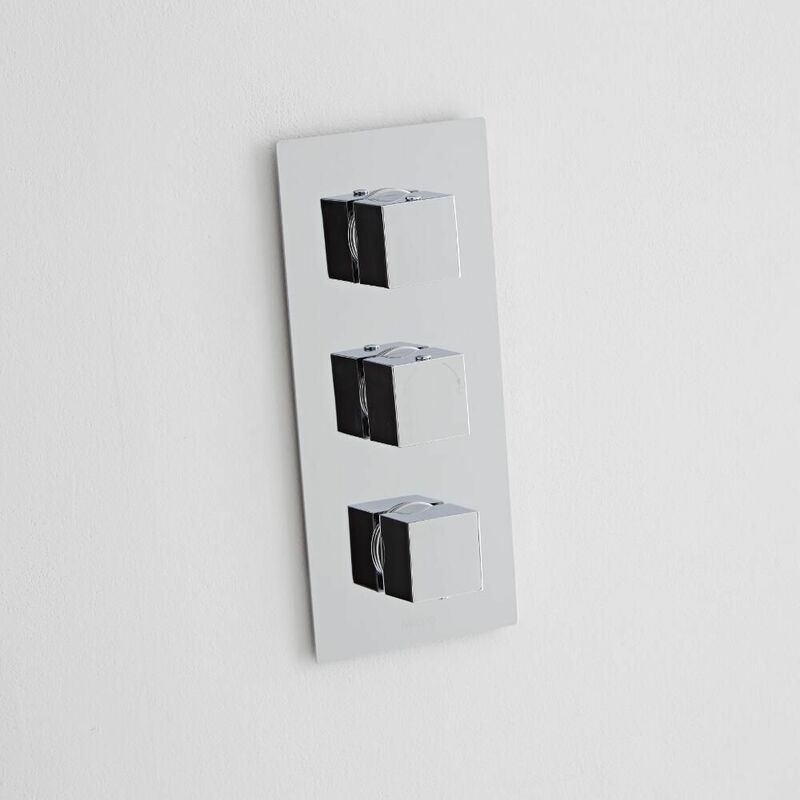 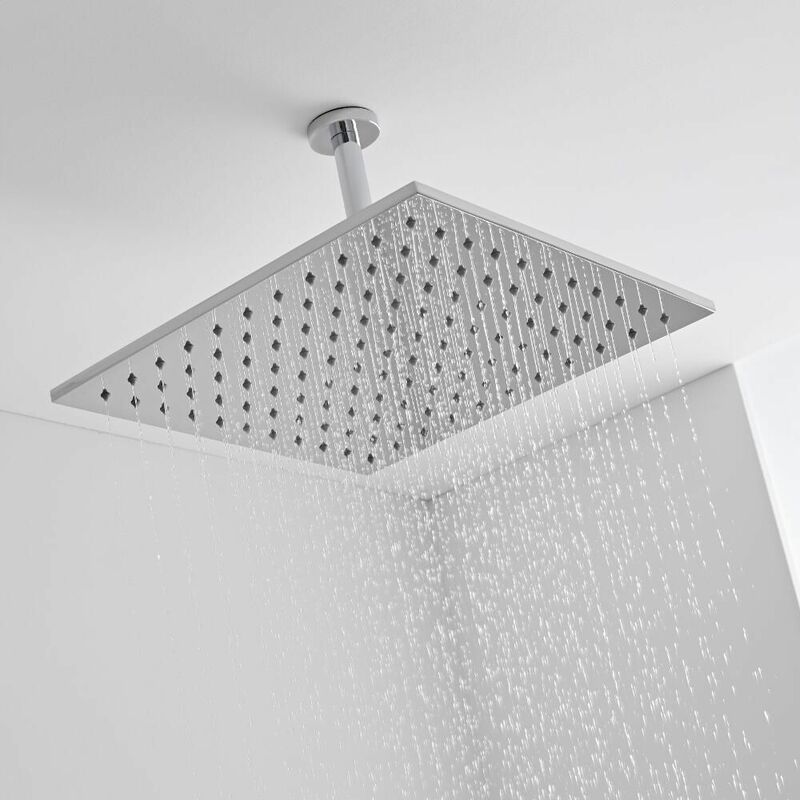 It also features ceramic disc technology to prevent leaks and drips, as well as a durable chrome finish that blends seamlessly in with any bathroom decor. The ceiling mounted shower head delivers a refreshing rainfall to awaken your senses, while the handset allows you to rinse and clean around your shower enclosure with ease.